Oscar Wilde was a writer. It can be put no other way for he did not merely dabble in the art of writing short stories, novels, poems, and plays, he mastered the art. 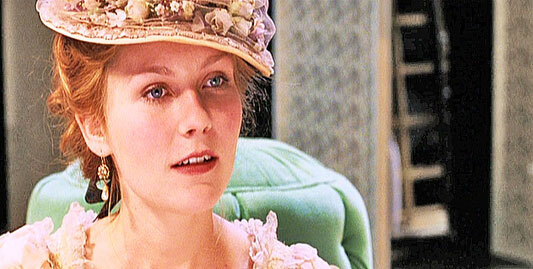 The Importance of Being Earnest is arguably Wilde’s theatric masterpiece. While maintaining the play’s comedic elements, Wilde succeeds in weaving deeper themes into the plot as well. Amongst the play’s most significant themes is Wilde’s inquiry into the nature of responsibility, hypocrisy, and the double life. Sam Raimi‘s film Spider-Man 2 also considers similar questions, and he acknowledges this connection to the play by portraying Mary Jane Watson as Cecily on stage in the film. This essay expands on the connection between Wilde’s The Importance of Being Earnest and Raimi’s Spider-Man 2. Bitten by an irradiated spider, which granted him incredible abilities, Peter Parker learned the all-important lesson, that with great power there must also come great responsibility. And so he became the amazing Spider-Man. This part of Spider-Man’s canon is essentially unaltered in Raimi’s Spider-Man trilogy, and the origin story is handled in the first film of his trilogy (naturally). Spider-Man 2 is still significant, however, as it shows the hero struggle, persevere, and grow. Aside from the superhero activity throughout the film, Parker is down on is luck: he loses his job as a pizza delivery boy; his freelance photography for The Daily Bugle is no longer sufficient to cover his bills; J. Jonah Jameson has twisted Parker’s photos of Spider-Man in order to portray the hero as a masked menace; Parker’s best friend, Harry Osborn, distrusts and resents him for protecting Spider-Man’s identity; he regularly misses classes at Empire State University and he risks failing; and, Parker sees his love interest, Mary Jane Watson, accept the marriage proposal of John Jameson, son of J. Jonah Jameson and the first astronaut to play football on the moon. Nevertheless, Parker resolves that he must still fulfill his responsibilities as a superhero despite the declining quality of his personal life. Further, insofar as being a superhero goes, Parker has always guarded his true identity as a secret in order to protect those he loves. Considering such conflicts Parker must contend with in the film, it is clear that when his love interest plays Cecily in a production of Wilde’s play it is meant to emphasize the comedic absurdity of Parker’s own double life. The first of Wilde’s scenes to appear in Spider-Man 2 is Act Three’s question of whether Cecily and Gwendolen can forgive the false pretenses of Algernon and Jack. As a parallel to Spider-Man’s tale, this scene represents Mary Jane’s own question of forgiving Peter about withholding the truth that he is Spider-Man. In Wilde’s play, however, the matter is sillier and more fickle. Both Cecily and Gwendolen are so caught up in the Christian names of their lovers that it is more a question of forgiving them for not being Ernests than forgiving them their double lives. Wilde’s women display a spoiled sense of entitlement but act like giddy pre-teens. For instance, Gwendolen claims that they should not be the first to speak to the men, but then she immediately speaks to Jack (Wilde 3.15-18). Gwendolen also claims that “in matters of grave importance, style, not sincerity, is the vital thing” (Wilde 3.28-29), and that “there are principles at stake that one cannot surrender” Wilde 3.43-44). Cecily goes along with Gwendolen’s ideology quite implicitly, and the girls’ sense of moral responsibility is genuinely fickle and silly. Neither are the men as dutiful as they ought to be. Jack disapproves of Algernon’s moral character, saying “I suspect him of being untruthful” (Wilde 3.216-217). Jack’s claim here is exemplary of the men’s hypocrisy throughout the play – both having led double lives, lying to the women they love, and degrading the other’s moral character whenever it suits their needs. 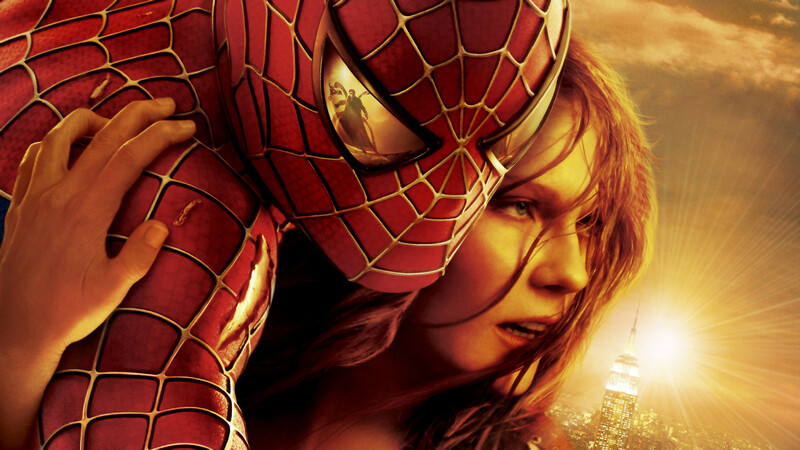 By including such a scene from Wilde’s play in the film, Raimi accentuates the double lives of both Peter and Mary Jane – one wears the mask of a superhero while the other wears the costume of an actress, both of which are duplicitous. The second scene from The Importance of Being Earnest to appear in Spider-Man 2 is taken from earlier in the play when Cecily and Algernon discuss the double life and hypocrisy. This likely appears later in the film such that the question of forgiveness can arise in the movie narrative before ever knowing if those duped will discover the truth. The manner of discussion in this scene, however, is quite playful and absurd. Cecily expresses that if Algernon, as the evil cousin Ernest, was not wicked and rather good, then she would disapprove of his hypocrisy (Wilde 2.119-122). Cecily would sooner frown upon hypocrisy than smile upon good character. Now, while Mary Jane Watson is somewhat materialistic in the Spider-Man comics and films, it seems she would nonetheless recognize that sincerely good character is more worthy of praise than begrudging someone their hypocrisy of merely appearing wicked. In the film, this juxtaposition helps establish a sense of suspense for the audience, hinting that she may not forgive the hero for keeping secrets. In this respect, The Importance of Being Earnest and Spider-Man 2 display some significant similarities. Jack and Algernon both live double lives, Bunburying about town as Ernests. Peter Parker also lives a double life, saving the city as the wall-crawling, web-slinging Spider-Man. The difference between the two, though, is that Wilde’s characters choose to lead double lives as a means to escape their societal duties (Wilde 1.200-208), while Peter Parker takes on his alter-ego as a means of upholding his responsibilities. Also, when both Cecily and Gwendolen discover that their respective Ernests have lied to them they are shocked and appalled (Wilde 2.761-771), but once Mary Jane discovers that Spider-Man is really Peter Parker she is surprised, yes, but overcome with joy as well. Both tales deal with dual identities, but it is how the tales deal with responsibility that really changes what effect is produced once the truth is discovered. Wilde has produced a truly silly comedy in The Importance of Being Earnest. Raimi has rendered a truly great film rendition of Stan Lee‘s Spider-Man. Both tales interrogate the complexities of living double lives, yet they differ greatly. Regardless, both works are thoroughly entertaining and come highly recommended. Spider-Man 2. Dir. Sam Raimi. Perf. Tobey Maguire, Kirsten Dunst, James Franco, Alfred Molina. Columbia Pictures, 2004. Film. Wilde, Oscar. “The Importance of Being Earnest.” The Importance of Being Earnest and Other Plays. Ed. Peter Raby. Oxford University Press: NewYork, 1995. 247-307. Print. You’re still here? Great! If you dig this essay, then “Like” my Facebook page! You might also check out what else I am up to over at Problematic Press. Many thanks! Cheers! Sam Raimi is a freaking GENIUS. This film might not be a masterpiece, but it is no doubt one of the best superhero movies of its time. It remains in the top three movies I have ever watched.